Sir Emmanuel Uzoma Uganwa, a sage, an educationist and a man with high administrative acumen, died at the age of 96 recently. There is a popular maxim that says: “Some men are born great, while others achieve greatness.” However, it is also generally believed that beyond this paradigm lies yet another set of great men. These are people who are driven by the inner passion of their self-esteem, vision and ambition to achieve greatness by a mixture of philosophical precepts of great men and women. People who are not hoodwinked by the fortune around them but utilise it to achieve their own set goals. And people whose kernels have not been cracked by their parents and whose success in life is by dint of hard work. 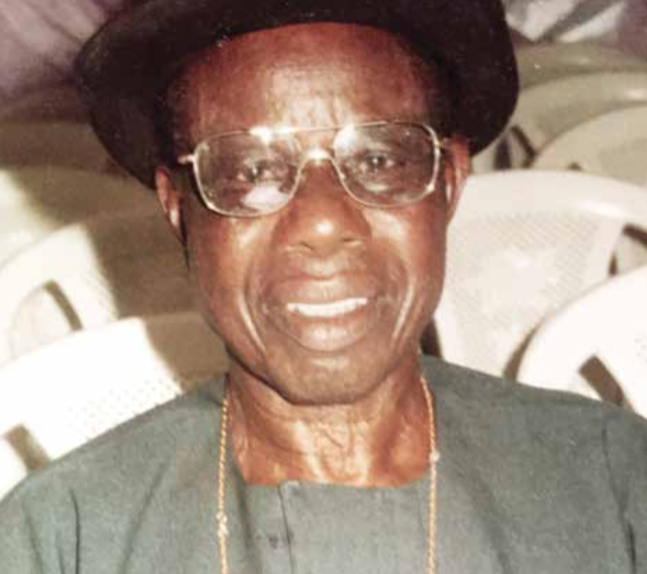 Undoubtedly, Sir Emmanuel Uzoma Uganwa, a sage, an educationist and a man with high administrative acumen, who died at the age of 96 recently, belonged to this group of men who are always very few in any given generation. Those who are very fortunate to have associated with him would see these sterling qualities in him. He was an epitome of humility, a rare gem, a peace-loving man with a good sense of humour, a family man, and a larger-than-life character with a subtle genius for communication. Sir Uganwa was born on June 25, 1922, into the family of Chief Gabriel Uganwa Amaliri and Madam Mary Ugodiya Mgbeke Uganwa of Umugakwo Eziama in Ngor-Okpala LGA, Imo State. He was the first son of the family. His father married six wives because he was a rich moneylender who had large areas of land for farming and numerous palm oil plantations in different locations and needed more hands on the farm. As a man born to a family that knew the value of education, Sir Uganwa had his primary education at St. Finbar’s School, Okpala, and passed Standard Six examination in 1944. In 1945, he was posted to St. Paul’s Catholic School, Obibi Etche, in present-day Rivers State, and was appointed a headmaster. He was the headmaster of the school until 1947. In 1947, he was transferred to St. Michael’s School, Uzunorji Mbaise. The same year, he passed the Teachers’ Grading Examination conducted for Catholic teachers in Owerri Diocese. He was then selected to go to Teachers’ Training College, Azaraegbelu, Emekuku. In 1950, he entered the Teachers’ Training College and after one year, due to his academic excellence, he was made the senior prefect of the college. In 1953, he passed the Teachers’ Grade II certificate examination. History and Religious Knowledge. He later enrolled with the University of Nigeria, Nsukka, for an Associate Programme in Education, which he completed in 1974. When he retired in 1984 from public service, the state government started registering and approving qualified private primary and secondary schools. He was appointed the principal in Eziama Secondary School, Eke Umugo, Ngor Okpala LGA. As an educationist, Sir Uganwa gave the best to his children educationally, morally and religiously, hence one of them is a priest in the Roman Catholic faith. No doubt, many men and women aspire to greatness, yet few ever succeed in capturing the imagination and spirit of their times. The ones who do become truly unforgettable and they achieve a kind of immortality and all that associate with them would like to emulate their sterling qualities. This is true about Sir Uganwa, who earned a place among the small pantheon of those who, despite huge odds, challenge their fellows not to settle for mediocrity, but to imagine and work towards a loftier idea. He was indeed a headmaster and a principal of high repute and was known for discipline, excellence in school administration, where pupils excelled in scholarship and learning during his days. An orator and a fearless crusader of truth and justice, Uganwa sought justice, truth and fair play in all situations he found himself. He was remarkable not only in the charm and zeal with which he attended to issues but also in the underlying principles that were at the centre of everything he did. He combined his God-given wisdom and intelligence, which helped in his natural adaptability, aggressiveness and occupational skill that produced a formidable, self-confident figure with a prodigious mind in him. These sterling qualities he communicated to his children. A very happy and fulfilled man, Sir Uganwa was one not given to self- adulation or title-taking, not even in the Church was he ready to receive cheap honours or awards. For instance, when an autonomous community was created in his locality by the Imo State government, he was approached to contest for the Ezeship, he turned it down. On a few occasions, he was approached by the local church community to be given awards, with various titles in the Church. He again said no. One should emulate the exemplary life of Sir Uganwa, his patience and humility in our present world that is riddled with pride and vainglory, a raving madness for prestige, positions and honourific titles; and equally worthy of emulation is his fearless defense of truth and justice in a society where cowards and sycophants could be bought for a kobo but men and women of courage and principles are as rare as snow in the tropics. that our country sorely needs. As many people who are associated with him pour encomiums on Sir Emmanuel Uganwa, it is proper to underscore the fact that the late principal has been widely lauded in his locality, in Imo State and beyond, by numerous students and pupils who he taught, as well as his colleagues in the Imo State school system. The unanimity of the laudatory verdict has offered all a shape of the judgement that history or posterity is bound to render about his legacy.